Puss in Boots Bouncie on a spring. Made of wood and fabric. Princess Bouncie on a spring. Made of wood. Cowboy Horse Bouncie made of wood and fabric with metal spring. Horse Boucie made of wood with metal spring. Piggy Bouncie made of wood with metal spring. Cow Bouncie made of wood with metal spring. Cat Bouncie in blue dress made of wood with metal spring, Colors may vary. Einstein Bouncie on a spring. Made of wood. Mozart Bouncie made of wood and fabric with metal spring. Fisherman Bouncie made of wood and fabric with metal spring. Golfer Bouncie on a spring. Made of wood. Owl Bouncie on a spring. Made of wood. Piggy with dress Bouncie made of wood and fabric with metal spring. Elephant Bouncie on a spring. Giraffe Bouncie made of wood with spring. Lion Bouncie made of wood with metal spring. Zebra Bouncie made of wood with metal spring. Safari Rhino Bouncie made of wood and fabric with metal spring. Chef Bouncie Pig made of wood and fabric with metal spring. Fantasy Horse Bouncie made of wood with metal spring. Unicorn Bouncie made of wood with metal spring. Mouse Girl with Dress Bouncie made of wood and fabric with metal spring. Bee Maja Bouncie made of wood with metal spring. Bee Willi Bouncie made of wood with metal spring. Gator Bouncie on a spring. Made of wood. 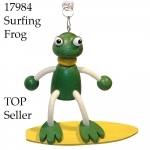 Surfer Frog Bouncie made of wood with metal spring. Stork Bouncie with baby frog made of wood and fabric with metal spring. Flamingo Bouncie made of wood with metal spring. Baby Dolphin Bouncie made of wood with metal spring. Baby Orca Whale Bouncie made of wood with metal spring. Halloween Witch Bouncie made of wood and fabric with metal spring. 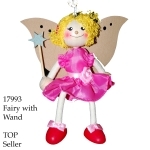 Witch Pink Bouncie made of wood and fabric with metal spring. Lavender Girl Bouncie with Lavender scent. Witch Blue Bouncie made of wood and fabric with metal spring.